"Novum Testamentum" title page, 1516. Item held in PHS Rare Books Collection. 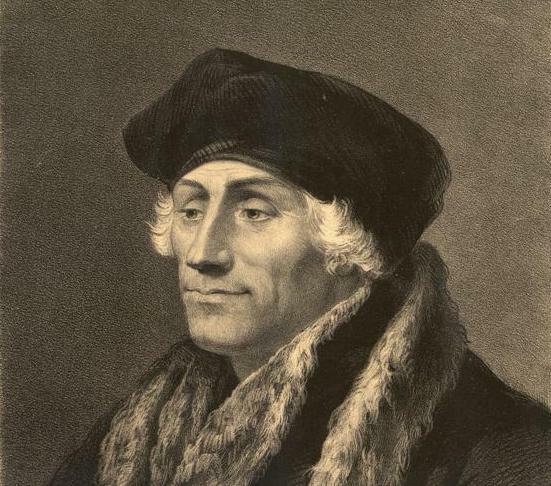 On March 7, 1516, Desiderius Erasmus (ca. 1469–1536)—Renaissance humanist, Catholic reformer, and Dutch educator—wrote to a friend with great relief from Basel, Switzerland, that the printing of his Greek New Testament was at last complete. It was, he later admitted, “more thrown together than edited,” but even so he had a right to be pleased. A decade of research and nearly a year of hard labor had produced the first printed edition of the New Testament in its original language. The foundational document of the Christian Church at last was available to the public in a single volume—and in a readable format with a Latin translation and detailed explanatory notes. For Erasmus, providing a printed Greek text to scholars and the Church was one of many critical tools the Church needed if it was to reform itself—a cause to which he had long devoted his keen intellect, tart prose, extensive Classical erudition, and sharp wit. The Church had reared the Rotterdam native—he was educated in several superior monastic schools in the Netherlands, was received as a member of the Augustinian order (1486), and ordained a priest (1492)—but he was not at home in it. He was repelled by the worldliness and wealth of the great princes of the Church and never drawn to the abstract theology of the schoolmen, monastic asceticism, or veneration of relics that so dominated popular piety in the autumn of the Middle Ages. He was drawn instead to the new learning associated with the Renaissance rediscovery of the Classical world and its virtues of simplicity, morality, and prudent reason. The goal of Christian piety, he believed, was to draw close to its source in God through disciplined Bible study and a simple devotion to Christ and his teachings. The Church would be reformed and society remade by people of goodwill following the teachings of Christ and his apostles. "Erasmus of Rotterdam" lithograph by Fr. Schenck after Hans Holbein painting, about 1536. Via Pearl. When allowed as an adult to study abroad, Erasmus found in Paris, Oxford, and Cambridge fellow spirits who shared his deep distaste for scholasticism and his love for the clarity of thought he found in the writers of the Early Church. While traveling widely and reading deeply from pagan and Christian works of the first five centuries, he developed his own prose style, seeking to achieve for himself the eloquence of the great Latin orators of old. In Jerome (ca. 342–420) the monumental fourth-century Bible translator and commentator, he found both his rhetorical and Christian ideal. Jerome alone of all the Early Church doctors could use the original Biblical languages, Hebrew and Greek, to draw close to the original words of Scripture and to edit, translate, and comment upon the Bible. By the turn of the century, Erasmus confessed to his correspondents that he was burning with desire to edit and publish Jerome’s collected works as his own contribution to the intellectual and spiritual reformation of the Church. The project of locating, copying, restoring, correcting, and finally publishing Jerome forced Erasmus to confront the difficulty facing anyone who attempted to print literature that had been passed down for centuries in handwritten copies. As he located manuscripts and reviewed earlier printed editions, he could see that, as with almost every other ancient writer, Jerome had been poorly transcribed, badly corrected, corrupted by spurious additions, and augmented by anonymous works falsely attributed to the saint. How was he to establish the true text? "Jerome in the Desert..." by Francisco de Zurbarán, 1638. Via Wikicommons. As the Renaissance came to flower in Italy during the previous century, scholars of ancient texts had developed the necessary critical tools to publish Virgil and Cicero, Homer, Plato, and Aristotle. When these same tools were applied to Christian texts, this care for good words was dubbed “sacred philology.” Fr. Lorenzo Valla (c. 1407–1457), the most active text critic of his day, was one of the first Westerners in centuries to master Greek in order to aid him in his research into the text of the Vulgate, the Latin translation of the Greek and Hebrew scriptures used in the West for centuries. In his unpublished “Notes on the New Testament” (ca. 1453–57), Valla collected hundreds of places in the Vulgate where the text had been corrupted, mistranslated, or was reliant on poor Greek texts. Erasmus found a copy of Valla’s manuscript forgotten in a monastic library near Paris in 1504. In addition to learning much about Jerome’s translation, Erasmus also learned the details of Valla’s sacred philology, and saw how an editor might criticize, correct, and restore a text even as revered as the Vulgate. With Valla, Erasmus realized (if he had not known before) that in order to edit Jerome’s works, he needed proficiency in all three languages, a critical edition of the Vulgate, and a reliable Greek text of the New Testament. Erasmus edited Valla’s treatise for publication in Paris in 1505. Erasmus, the Latin scholar, had always had a smattering of Greek, but from about 1500 onward, he threw himself into the task of mastering the language. His goal was to come to a critical judgment of Jerome’s use of Greek New Testament texts. From there he could form an opinion on how well Jerome had revised the Old Latin translations of the Gospels used in the West—Jerome’s first assigned task as a Bible translator. And from there he could better establish the original text of Jerome’s Gospels presented to Pope Damascus in 384. To aid him in this research, Erasmus made his own working Latin translation of the Greek New Testament, completed in 1509. By 1507, frustrated by the lack of a reliable Greek text, he also began to seek out and compare the readings of what manuscripts he could locate. By 1512 he was systematically collating manuscripts with an eye toward publishing a Greek Testament of his own. Friends who knew of these manuscripts pestered him for copies, but he resisted until Johann Froben, the distinguished publisher in Basel, offered to print both his works of Jerome and his Greek New Testament, and also to print a new edition of his earlier work, Adages (1500). In the summer of 1514, Erasmus moved to Basel to oversee a mammoth multilingual project. "Johann Froben" by Hans Holbein, about 1530. Via Wikicommons. Erasmus spent the next year seeing his Adages and three volumes of Jerome’s letters through the press, while he struggled to prepare a suitable Greek manuscript for the typesetters. 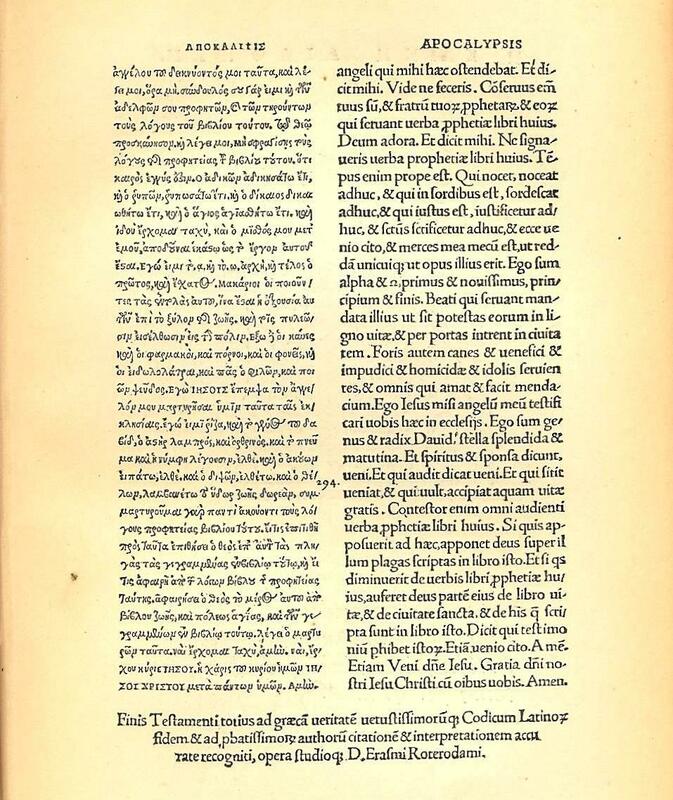 The printing of the New Testament, after several false starts, began in earnest in October 1515, and the whole—with Greek and Latin texts in parallel columns, a dedicatory epistle, a hortatory essay, and 294 pages of Erasmus’s annotations—was completed in March 1516. Erasmus titled his work the Novum Instrumentum, rather than the more familiar Novum Testamentum, because (he said later) a testament is a covenant, which may or may not be written, whereas an instrument is a written document that specifies the terms of a compact. The Hebrew Scriptures are rightly called a testament because the Law they contain was established by covenant long before it was written down. The Greek Scriptures are an instrument because they specify the terms of the New Covenant announced by Jesus at the Last Supper. Froben set the type of the title page in the shape of a chalice to underscore this point. The work was flawed in a number of significant ways. Erasmus’s Greek text was based on the very few manuscripts he could borrow from collections in and around Basel. It is estimated that he may have used six texts—none of them very old and only one of them complete. He sometimes corrected the readings before him from his own notes, but he was not methodical about this, and he could be arbitrary about which readings he preferred. Last page of the Erasmus 1516 New Testament (Revelation 22:8-21). Via Wikicommons. He and his editorial assistants also worked in great haste—at one point they were typesetting and proofreading twelve pages a day—while Erasmus was also drafting more annotations on the text and still supervising the printing of the works of Jerome. This meant that more than 500 spelling errors from the manuscripts and several thousand additional typographical errors made their way into the printed text. The Latin translation of the first edition was not by Erasmus; he elected to lightly revise the Vulgate, and saved his more radical suggestions for his annotations. A printed Greek New Testament from the most renowned Christian scholar of his age, whatever its faults, was hailed across Europe and the first edition quickly sold out. Erasmus was acutely aware of the limitations of his work, and began a full revision almost at once. Froben published the second edition, retitled Novum Testamentum, in 1519, with many corrections, expanded annotations, and this time with Erasmus’s own fresh Latin translation. He produced three more editions—published in 1522, 1527, and 1535—before he died. The corrected text of subsequent editions was used widely for several decades. Martin Luther used the second edition to translate the New Testament into German in 1522. 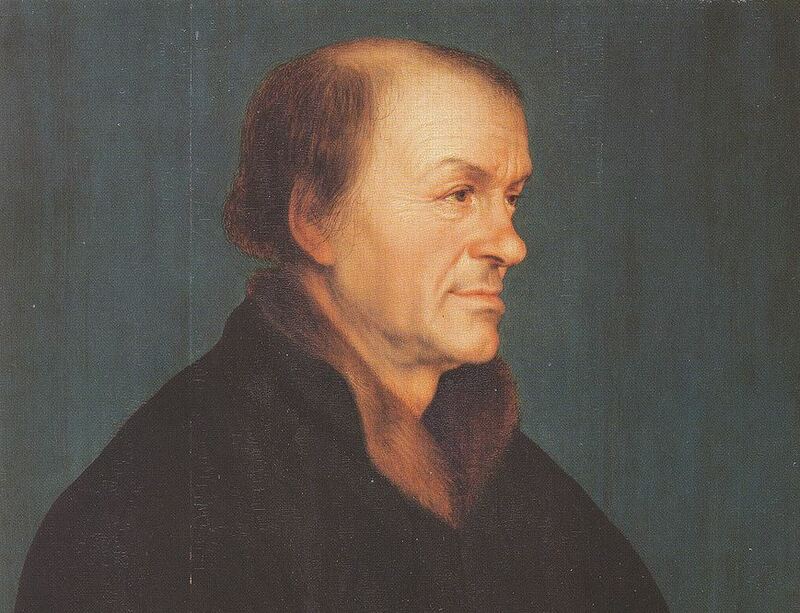 Ulrich Zwingli visited Erasmus in Basel while the first edition was being printed, used his copy for most of his own preaching, and reckoned himself an Erasmian until his death in 1531. Criticism of the work came from many directions. Scholars of Greek, especially in Rome and Spain where better manuscripts were available, noted the faults in the text and snickered at the obvious mistakes. Latin traditionalists were alarmed with the liberties Erasmus took with the Vulgate and offended at the suggestion that the inherited translation contained errors. Theologians were shocked at the number of traditional doctrines Erasmus challenged by demonstrating that they were based on mistranslations of the Greek. Many more were offended that Erasmus could suggest that even his beloved Jerome could make mistakes, and yet everyone was forced to acknowledge that a fundamental shift in the interpretation of the Bible was taking place. The received Latin text could no longer be taken as the Bible. From now on, the Bible needed to be read in its original languages, and its text established not by church authority but by critical principles of philology and history. An agenda for reform had been set, and not even Erasmus could tell where it might end. The Reverend Kenneth J. Ross was born and raised in the Philadelphia area. He is a graduate of Lafayette College, Andover Newton Theological School, and Princeton Theological Seminary. A member of the PHS staff from 1990 to 2006, he now works as an interim minister in Philadelphia Presbytery. A shorter version of Ken's work was used for this year's Reformation Sunday bulletin insert. Jerry H. Bentley, Humanists and Holy Writ: New Testament Scholarship in the Renaissance (Princeton, 1983). 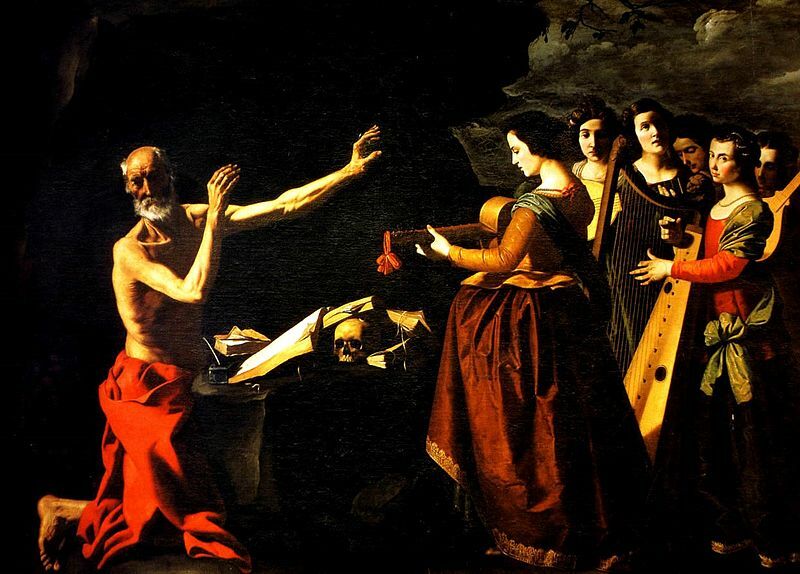 Eugene F. Rice, Jr., Saint Jerome in the Renaissance (Johns Hopkins, 1985). Basil Hall, Humanists and Protestants, 1500–1900 (T & T Clark, 1990). Jaroslav Pelikan, et al. The Reformation of the Bible; The Bible of the Reformation (Yale, 1996). Alister E. McGrath, The Intellectual Origins of the European Reformation (2nd ed. Blackwell, 2004).